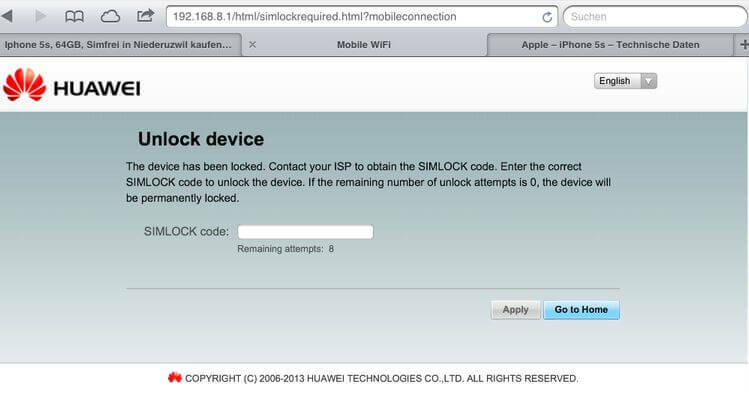 Home Unlock Huawei How to Unlock Huawei E5377Ts-32 WiFi MiFi Router? How to Unlock Huawei E5377Ts-32 WiFi MiFi Router? Today, I have unlocked one Huawei E5377Ts-32 successfully, which was locked to Viva Kuwait. Unlocking is the one-time job and after unlocking the device, you can use any another network provider SIM, as well as default SIM. Currently, sub-models Huawei E5377Bs-605 and E5377s-32 are also available in various countries. Optus of Australia is also providing this device, dubbed as Huawei E5377T WiFi modem. How to Unlock Huawei E5377Ts-32 Mobile WiFi Router? 1. Make sure your Huawei E5377Ts-32 Mobile WiFi router is fully charged. 2. 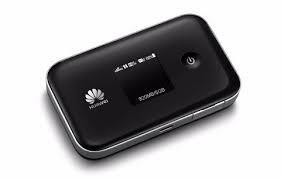 Just insert a nonacceptable Network SIM card on your Huawei E5377Ts-32 MiFi router (You have to use another network provider sim, which is currently locked to). 3. After changing the another network providers SIM on your Huawei WiFi / MiFi, switch on it. It will display “Invalid SIM” because you have used another network providers SIM. 4. Now just establish a WiFi connection to Huawei E5377Ts-32 mobile WiFi router to PC / IPAD / iPhone / Android device. 5. Connect the device with PC and login to the device’s dashboard at 192.168.8.1. Go to Advanced Settings – SIM Settings – Unlock Device – Enter Unlock Code – Click on Apply. Note: IP address may be different for your device. Default admin password will be password or admin. Open the Settings – Dial-up – Unlock SIM card – Enter 8 digits unlock code in your Huawei E5377Ts-32 router. Click OK and the device will reboot to display the new network. Now your Huawei E5377Ts-32 Mobile WiFi Router is unlocked forever. Note: Don’t try to insert any free/wrong codes into your Huawei E5377 WiFi router, otherwise it will be locked permanently. Previous articleHow to Unlock Huawei E5787s-33a? Next articleHow to Unlock Samsung P920A?